I hope you all had a wonderful time ringing in the New Year with your loved ones this past weekend! I know I did! I love counting down to midnight and watching the ball drop in Times Square on television. But while New Years Eve is always fun, New Years resolutions are a bit tricky, as they always seem to inspire people to try to stick to a new regimen but often have little follow through. Instead of simply making a bunch of heavy proclamations about what you plan on doing, just do it! I find that setting an intention for what you set out to do is important but in this case, make it more general. For example, my goals for 2017 are to look, feel, and act more energetic. This goal allows for me to experiment with a variety of paths to get to the finish line, without having to think in such a linear way. I think that you’ll find that this will set you up for success as opposed to failure. This way, when you look back months from now, you’ll see the positive effects of your effort and hard work rather than a more specific downfall. If you stumble on the way, just make sure you pick yourself back up again and try again! Join me over the remaining weeks in January for a total mind/body cleanse. Each week will tackle a different theme and will include advice on how you can cleanse your skin, your diet, and your mind. Many people try trendy juice cleanses or other extreme diets to begin the year. I believe that these types of things often fizzle out quickly and don’t provide you with lasting results. That is why this “cleanse” focuses on taking a holistic approach by aligning your skin, body, and mental goals to leave you looking and feeling like a new and improved version of yourself! This week is all about setting yourself up for a good year. Just like a house requires a sturdy foundation in order to stay standing, it is important to establish rituals that help make your day-to-day life that much simpler. In order to bring in the New Year right, it’s time to ditch all the dirty products you’re using and commit to a clean routine. Clean up your vanity and bathroom shelf by going through the products that you have and taking a good hard look at the ingredients in them.I love Well + Good’s handy list of the dirty dozen beauty ingredients that you should say goodbye to. Go through your beauty products and rid yourself of any unnecessary chemicals that you’re letting seep into your body via your largest organ, your skin! Remember, when in doubt, sometimes the simplest concoctions are the best for our skin. As I’ve said in the past, simplicity is key. 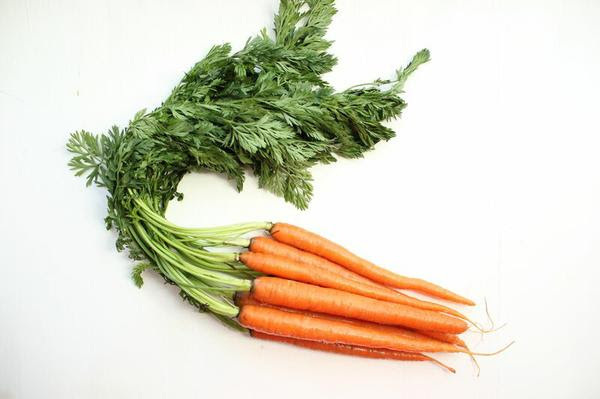 For a quick treatment for dry skin, sans beauty product, try grating a carrot and applying it on your skin for 10-15 minutes. If you are suffering from eczema or dryness, you’ll feel instant relief! Glowing skin from just one totally unprocessed, raw ingredient? Yes please! 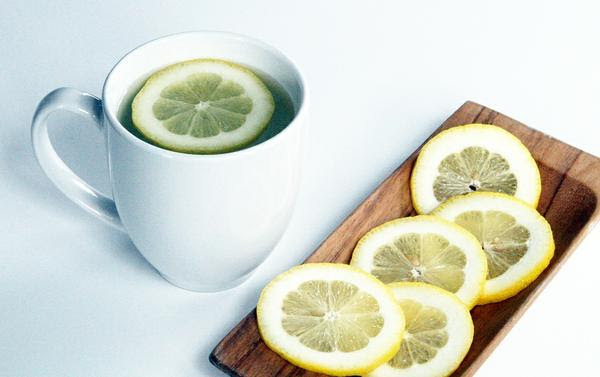 Hot water with freshly squeezed lemon helps to kick your metabolism into gear, aids your digestion, and flushes your liver of any stored toxins, three excellent things to do before you even leave the house! Lemon is also an fabulous alkalizer and helps to balance your acidity. Chlorophyll reduces inflammation, balances pH, cleanses the liver and neutralizes toxins. It also oxygenates the cells in our bodies and helps to eliminate toxins. I never skip a day of taking it! Just mix about a teaspoon of chlorophyll with water and enjoy. Your body needs time to digest and rest. Overwhelming your system with a bunch of food before bed can make it go into overdrive trying to break down the food to use it for energy. Try to give your body time to relax before going to bed so you can wake up truly refreshed. A solid meditation practice is a non negotiable. To stay sane this year and to stress less, take the time to inhale and exhale and listen to your heartbeat. As I’ve mentioned before, if you have a difficult time meditating on your own, find a guided meditation on YouTube, use the app Headspace, which has a variety of different guided meditations, or find a local yoga studio or meditation center that offers a meditation class. There has been a lot of scientific evidence supporting the relationship between meditation and good health, including claims of meditation helping ADHD, anxiety, and even lowering blood pressure. My final piece of advice for this week is for you to set a bedtime. I know that many of you probably don’t get the recommended eight hours of shuteye each evening but it its so important to do so! Getting the right amount of sleep doesn’t just make you feel more energetic, but it also actually benefits your appearance as well. There’s a reason they call it beauty sleep! Be sure to allow yourself time in the evening to wind down from your day. Also, try to keep electronics out of your bedroom – no more sleeping next to your iPhone – in order to allow for the most restful night of sleep you can get. What do you do to take care of yourself for the New Year? Have you tried a New Year’s cleanse before? Would you try following my suggestions to look and feel better in 2017? Let me know if try following my plan and how it makes you feel refreshed from the inside out! I would like to thank you so much for reading and so generously sharing! It’s always wonderful sharing these great tips with you all!